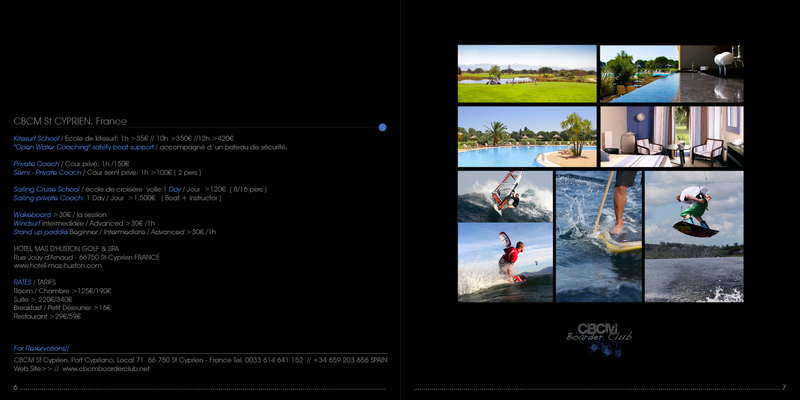 In Wind countryside CBCM St Cyprien opened in 2003 the first Kitesurf & Boardsport School in Pyrénées-Orientales France . CBCM St Cyprien is Kitesurf school, and also Stand up paddle,Wakeboard, Windsurf, Surf, Sailing for all abilites and levels.Thanks to our professional team, a teaching program appropriate to your level, a teaching method « Open Water Coaching » with a safety boat, the possibility to take individual private courses « CBCM Private Coach », a special zone reserved for kitesurfing « Kite Zone » , a lake with a Boat “Mastercraft” for wakeboard at 5 minutes to the beach,the opportunity to go kiting on the incredible freestyle flat water spot of the pond of barcares and as well the latest kitesurf gear – CBCM Boarder Club has become one of the best Kitesurf training centres in Europe. We are located in St CYPRIEN near to CANET EN ROUSSILLON in Southeast of France, on the Languedoc Roussillon, in the heart of the Catalunya north, at the foot of the Pyrenees, on the Mediterranean sea near the spainish border, St Cyprien is a huge sandy beaches of 8 km, yet safe conditions, which has been popular among windsurfers, and now kitesurfers, for many years. The coastline of Languedoc-Roussillon has beautiful beaches and rugged rocky coast of the Pyrenees. 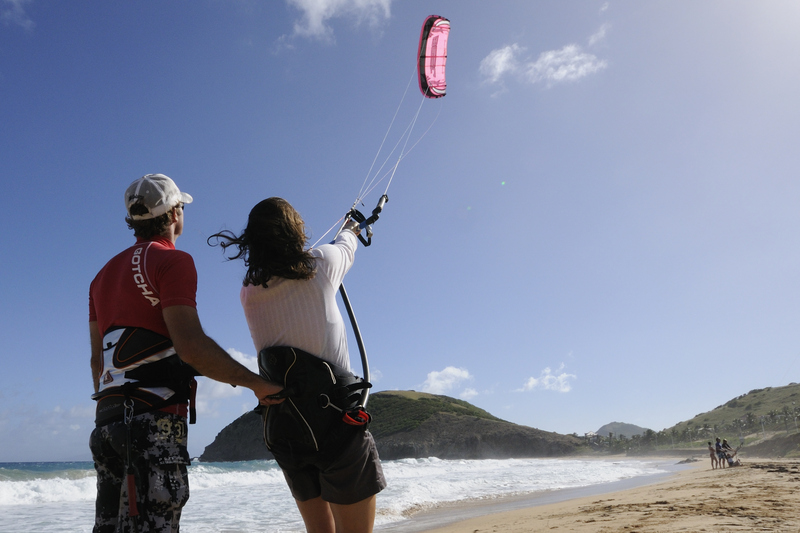 Tourism and fishing are the foundation of St Cyprian economy, which means there are plenty of things to do if you have the misfortune of being devoid of wind or keep non-kiters happy! 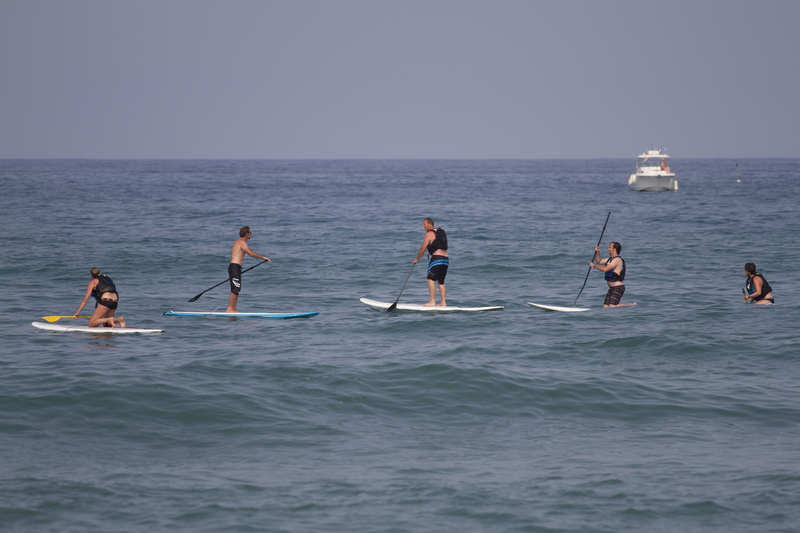 Couples can escape the hustle and bustle of beaches in stand up paddle or sail and hide in Collioure nice cafés and restaurants among the picturesque streets, or take in the breathtaking views of the Pyrenees and watch the world go by. Our CBCM Lesson Program breaks this syllabus down into 5 sessions of 3 H segments, to achieve autonomy with a max student/coach ratio of 4/1. « CBCM Sailing experience » We propose to teach you how to sail a cruising boat. 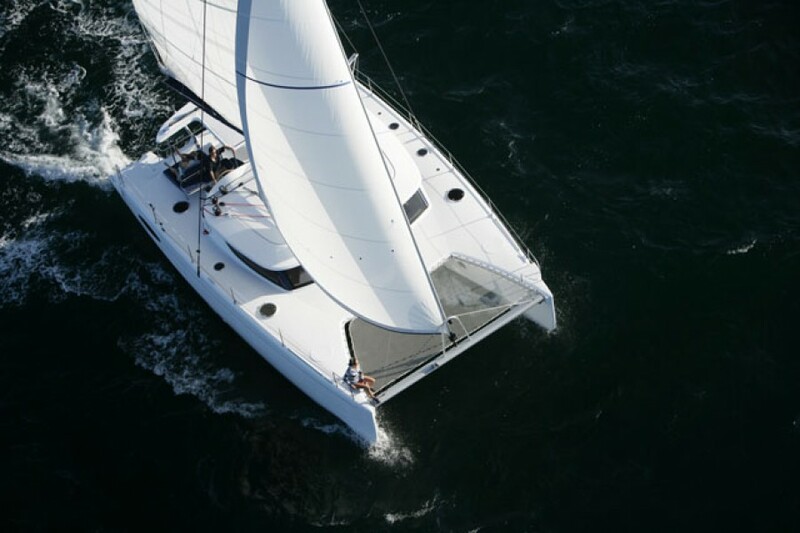 To learn to sail while cruising is to learn to sail and maneuver a catamaran and accumulate experience using some notions of basic theory. CBCM SAILING Cruise school – personnalised to your wishes. 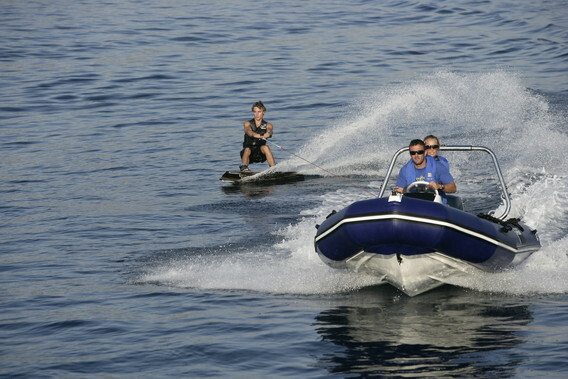 Each Sailing Cruise training is a custom cruise, an estimate is sent to you before booking. 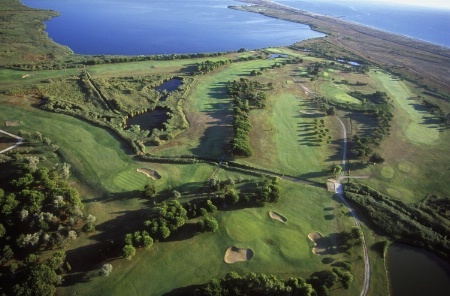 St Cyprien lies in the path of the most constant winds in Northern Spain. The strong and steady Tramontana blows cross or cross-shore from the left and maintains a strong grip on the wind and weather conditions in the vicinity of the Pyrenees. It’s particularly strong in spring and autumn, when it can get up to force eight or nine! The thermal wind prevails in the summer months (mid-June to mid-September) blowing cross-onshore from the right, averaging between a mellow force three and lively force five. The summer thermal wind is very reliable and builds up towards midday. The sandy beach is roughly 80 metres wide and the shallow water extends out for about 30 metres. 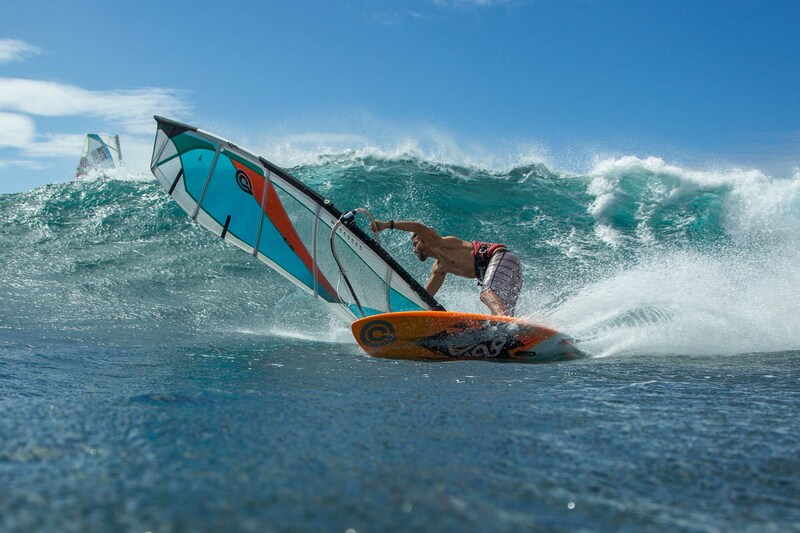 The shape of the beach ensures absolute safety for kitesurfers. There’s enough room for first-time kitesurfers while the more advanced riders can enjoy blasting out into the vast open playground. Strong Tramontana winds in the spring and autumn from the left, and more gentle but regular breezes coming cross-onshore from the right in the summer months (mid-June to mid-September). Between April and September the water temperature fluctuates between 17 and 22°C.